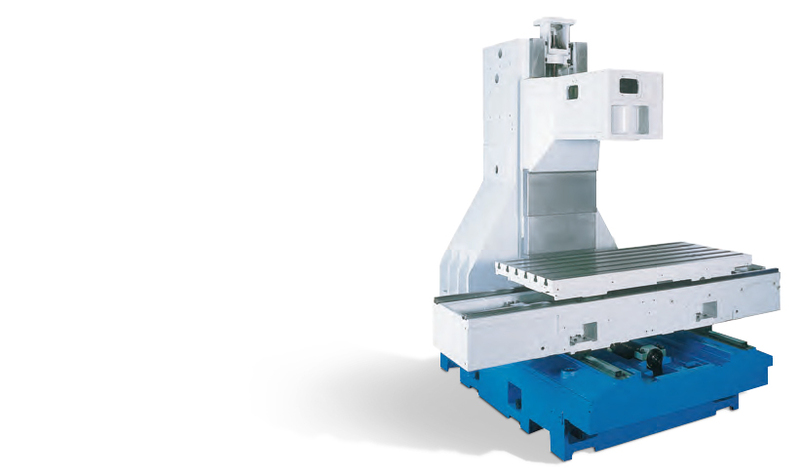 Fast and accurate, the high speed vertical 3 axis machining centers, are characterized by a robust cast iron structure. The wide range of machines starts from versionVSE1066(1,020x610x610) mm. 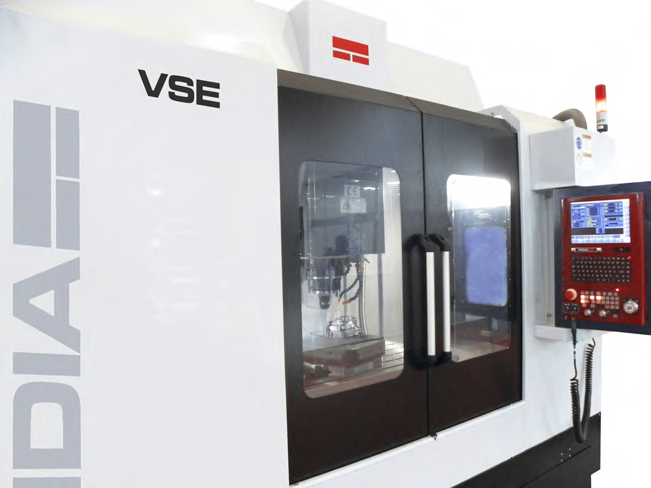 The use of both motor-spindles with high torque, and electrospindles, make the VSE an extremely versatile machining center. Owing to their rigidity, stability and dynamic characteristics, VSE machining centres offer high speed roughing out and finishing. Pre-loaded C3 class-40mm diameter high precision ballscrews directly coupled to AC servo motors to eliminate backlash and ensure highest rigidity. High speed spindle, 15.000 Rpm 20/53 kW 96/250 Nm ISO40 direct coupling. Designed to avoid vibrations, it combines heavy duty machining and high quality finishing. Optional 18.000 Rpm 26/32 kW 124/154 Nm HSK 63A Electrospindle. The large machine basement, along with the oversized box-type column (width 1068mm, 42”) ensures maximum stability and rigidity. 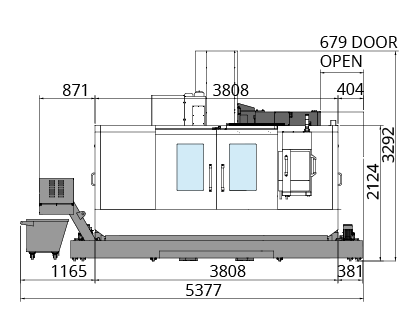 840mm from the table to the shop floor facilitate set-up operations. The thermosymmetric design of high quality FC 35 casting minimize the thermal influences. Headstock balance is provided by oversized, powerful Z axis servo motor with mechanical brake, delivering the fast response requested by high speed cutting. 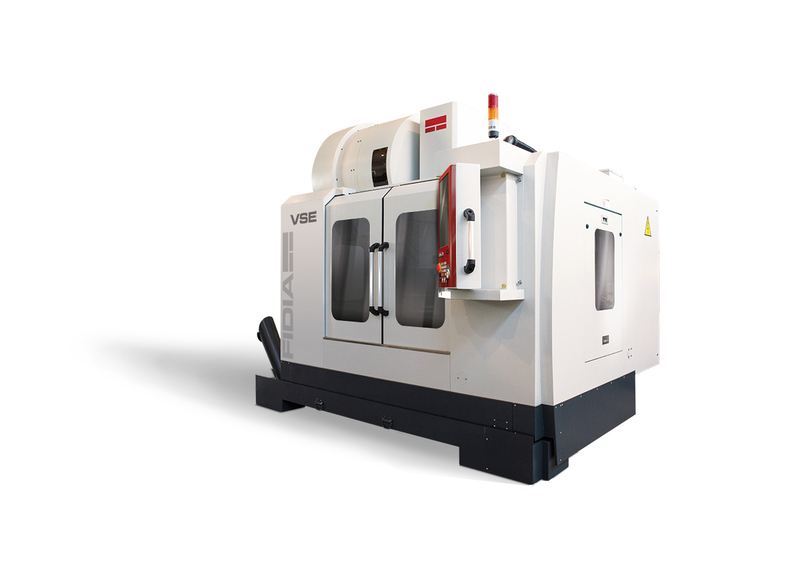 The rigidity and stability of the VSE extend the machine capability from roughing to High Speed milling. Fidia V5 Look-Ahead system allows the operator to set “on the fly” the best possible machine dynamics according to part geometry and tolerance. 24.000 Rpm Spindle (optional) allows accurate high speed finishing with smaller tools. 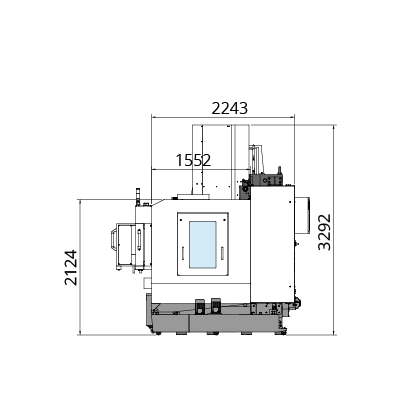 High-resolution glass scales on X/Y/Z axis grant the best accuracy in milling. German made four-row extra heavy duty roller guideway on X/Y/Z axis, combines fast & accurate feed with heavy work pieces allowance. German made ball screws and direct motor coupling complete the set of high quality components aboard the machine. 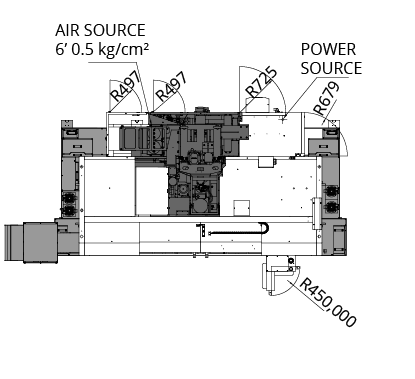 Standard configuration include fast and reliable 24 positions arm-type tool changer. A selection of Continuous Rotary Table with tailstock, size ranging from Φ100mm to 400 mm (3.9” ÷ 15.7”), is available as optional. Any size allows vertical or horizontal placement on the machine table. Specific protections for guides and ball-screw, a powerful suction system and a 30.000 Rpm Spindle are available as options to make the VSE Machines very effective also in Graphite and Resin milling.